I've been so looking forward to this event and part of the anticipatory fun has been selecting the books I want to read. This week I could wait no longer so have jumped the gun and have already read a few chapters of my first two choices. I know I'd regret it if I didn't read something by Dickens during his bicentenary year even though the memories of what I read when I was young didn't inspire me much. Obviously I was too young to appreciate what I was reading because this week Mr Dickens has delighted me. I decided to borrow the library copy which I knew they kept in their back room and was thrilled to discover it was the 1952 New Oxford Illustrated edition with all the wonderful original illustrations.....what a bonus!
" In these times of ours, though concerning the exact year there is no need to be precise, a boat of dirty and disreputable appearance, with two figures in it, floated on the Thames, between Southwark bridge which is of iron, and London Bridge which is of stone, as an autumn evening was closing in.The figures in this boat were those of a strong man with ragged grizzled hair and a sun-browned face, and a dark girl of nineteen or twenty, sufficiently like him to be recognisable as his daughter. The girl rowed, pulling a pair of sculls very easily; the man, with the rudder-lines slack in his hands, and his hands loose in his waistband, kept an eager lookout. He had no net, hook, or line, and he could not be a fisherman; his boat had no cushion for a sitter, no paint, no inscription, no appliance beyond a rusty boot-hook and a coil of rope, and he could not be a waterman; his boat was too crazy and too small to take in a cargo for delivery, and he could not be a lighterman or river carrier; there was no clue as to what he looked for, but he looked for something, with a most intent and searching gaze." What a wonderfully dark and polluted atmosphere Dickens creates in this first chapter as he slowly reveals exactly what Gaffer Hexam is up to!
" A wide plain, where the broadening Floss hurries on between its green banks to the sea, and the loving tide, rushing to meet it, checks its passage with an impetuous embrace. On this mighty tide the black ships - laden with the fresh-scented fir-planks, with rounded sacks of oil-bearing seed, or with the dark glitter of coal - are borne along to the town of St Ogg's, which shows its aged, fluted red roofs and the broad gables of its wharves between the low wooded hill and the river brink, tinging the water with a soft purple hue under the transient glance of this February sun." Quite by chance I chose two books in which a river features in the opening paragraphs and I love how the contrast between the two captures the light and dark, urban and rural settings and the life and death symbolism of a river. The Mill on the Floss is also my Classics Challenge book for June so I'll be focusing on getting it finished first. Loving it so far. Thanks Allie - happy to be participating. The openning of Our Mutual Friend, the whole first chapter in fact, is fabulous, really loved it. I think Dickens has some of the best beginnings I've ever read! So did I - and then comes the contrast of Chapter 2 which is hilarious. Wonderful! I started The Mill on the Floss several years ago and for complicated reasons (including that I found it moving tooooo slow) I never finished it. It's on the top of my "gotta finish it someday" pile. Maybe this celebration will get me focused on it again. 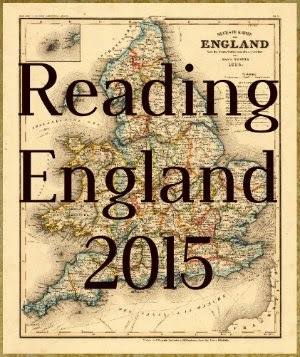 It is a quiet story but I've found it engrossing - and hard to put down. Fortunately it's a quiet weekend. I'm also starting with The Mill on the Floss! I'm really enjoying it so far. I have a feeling I'm really going to like Maggie. I'm sure you will enjoy it. Anything would be better than Clarissa, right? Little Maggie captured my heart from the beginning. Wonderful choices. I love The Mill on the Floss, and I have geard great things about Our Mutual Friend, but I don't have the concentration for a complex Dickens right now. Enjoy! Mill on the Floss is lovely - enjoying it very much. I look forward to discovering what your Eliot and Dickens choices are. It's beautiful imagery which will now be a favourite of mine too. Great choices to start with! And finding an old edition book is 'something' indeed. 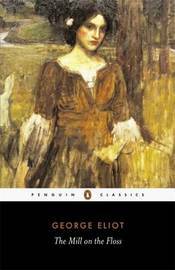 I read from Dickens' Bicentenary (biography) that Our Mutual Friend is one of Dickens' darkest novels, he'd been through several shocks and tragedies during the writing process. I can't wait to read your thoughts on this. 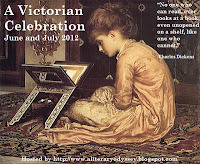 And same to you, I've stolen the start for this Victorian Celebration :), because I just can't wait to read first chapters of my Dickens, Sketches by Boz. It has a dark side but also a lighter and very funny one....I'm loving it! I understand your apprehension about Dickens. I didn't like him when I was younger. It wasn't until I read five others books by him and was undertaking a Master's in Victorian literature that I finally came around to Charlie D. Now I love him! 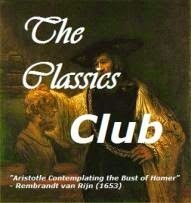 I have realised recently that age has brought a greater appreciation of the classics I read when young. I'm very glad I gave Mr D. another chance. I, too, loved The Mill on the Floss. I'm going to try to read Middlemarch for this Celebration, but it's a chunkster and I've got a couple of those on my pile (plus a few shorter works), so I'm not sure I'll actually get through everything I plan to... I wanted to read Our Mutual Friend or The Old Curiosity Shop, but they're both so long! I'll definitely be reading another Dickens (The Haunted House), but not sure if I'll have time for the lengthier one(s). I had thought of reading Middlemarch but decided it and Clarissa in one year was too much to handle. I doubt I'll get through everything on my everchanging VC list, either. 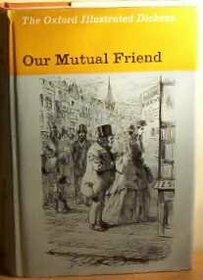 I really like Dickens, but have not read Our Mutual Friend. I have not even heard much about it. I hope that he delivers a better read than you remember. Enjoy. I'm halfway through and loving it!